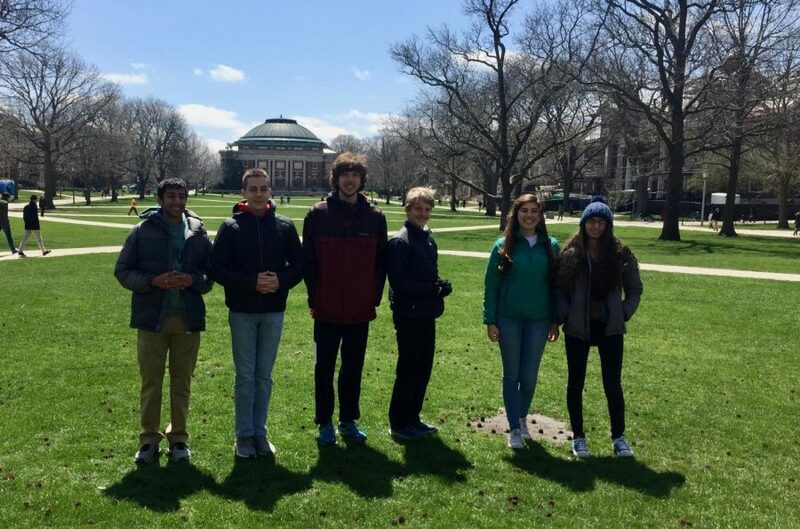 The Niles West WYSE team at the state competition at UIUC. Two tests. Forty minutes each. This how the WYSE (Worldwide Youth in Science and Engineering) competition is organized, with its members intensively preparing for two tests in two different subjects in order to become experts at each. Where WYSE differs is its subjects. While most clubs have subjects that branch specific parts of science (Science Olympiad) or math (Math Team), WYSE tests multiple subjects which you would learn in school: Math, Physics, Chemistry, Biology, Engineering Graphics, Computer Science and English. Although the tests generally ask about what classes in school would cover, the test involves knowing your subjects well enough to be able to quickly solve large amounts of exercises as you would find in textbooks. Senior Katie Benstead, who has been on the team for two years, enjoys the competitions very much. However, WYSE’s status hasn’t been stable recently. At the end of the 2018 seasons, rumors followed by confirmation about WYSE shutting down were spreading around the coaches. The University of Illinois, which had hosted the event previously, was shutting down the competition. Martha Lietz, an AP Physics teacher who runs the club along with Computer Science teacher Matthew Fahrenbacher, has hopes that the competitions will stay as it was before. “This year the University of Illinois decided that … they’re not going to host it anymore. They cited reasons for dropping enrollment but there’s reason to believe that’s not necessarily the case. I’m not sure. Early in the summer, I heard a rumor that Eastern was going to take it. We’ve got information that Eastern Illinois is now going to host it and Eastern Illinois … I heard wrote the exams anyway. The name has to change. I’m not sure of what’s all going to change, but I hope the tests are all going to be the same,” Lietz said. Senior Gabe Cohen, who placed first in computer science in 2017 and top 5 his other years, isn’t a fan of the instability. “I was disappointed, however, not surprised. The competition has not always been run completely smoothly. There have always been indications that it was on its final legs,” Cohen said. Despite all the turmoil, WYSE is turning out to be even better this year than years past because of its newfound hosting. Its members are excited to see the competition, now finalized, and are happy to see the season commence.